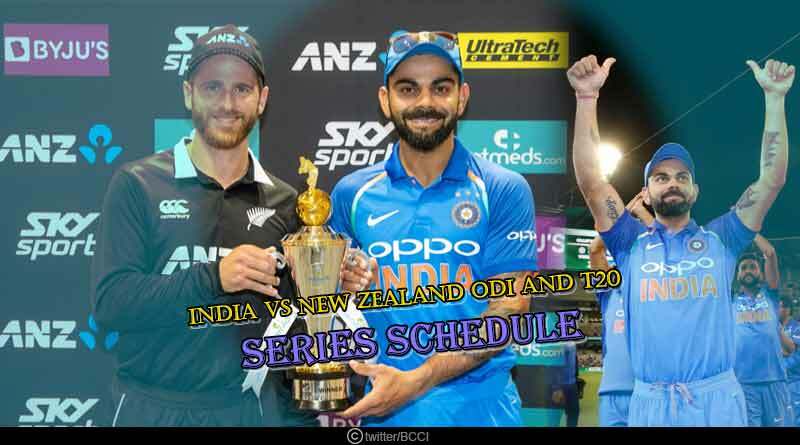 India vs New Zealand ODI and T20 Series schedule – Moving onto New Zealand after having put in a comprehensive performance to storm Australia’s castle and walk away with all the laurels from the company, Kohli and company will travel to one of the best countries in world cricket at the moment to test their mettle out against them. 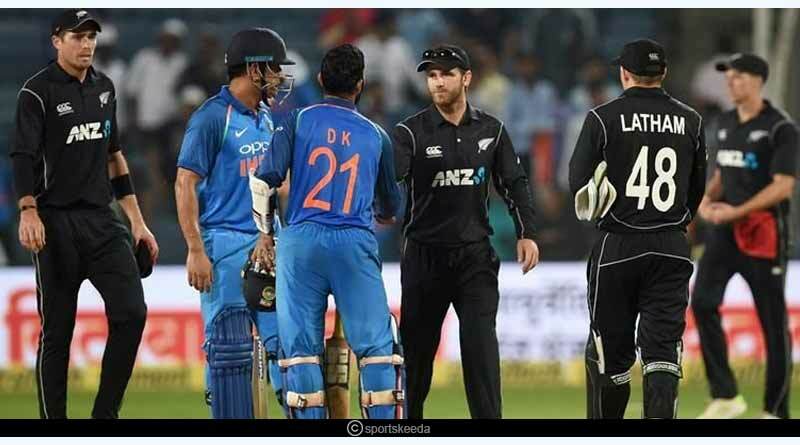 In what will be their stiffest and sternest test ahead of the world cup, the Indian unit will take on New Zealand in a five-match ODI and three-match T20 series beginning 23rd January. The 19-day visit of the country will see India contest the ODI series first which will go on till 3rd February, giving them a chance to test out their best playing XI for the prestigious cricket world cup in May. The team landed in the country on Sunday, amid loud and boisterous support by the Indian supporters who spared no expense to make their love for the Indian cricket side clear with the most vociferous of reception spared for the Indian captain Virat Kohli and his wife Anushka Sharma. For New Zealand, the ODI series offers a massive opportunity to continue on the fine run that has seen them down teams in their home over the last 2 years. Such has been the riveting and resounding form they have been in, that they have lost only once since 2017 at home, a fifty over format series, hovering over sides with such dominance and clinical ease to take them to third place in the ODI ranking. New Zealand has a chance to displace India in second place in the ICC rankings for ODI if they manage to script a 5-0 series win. 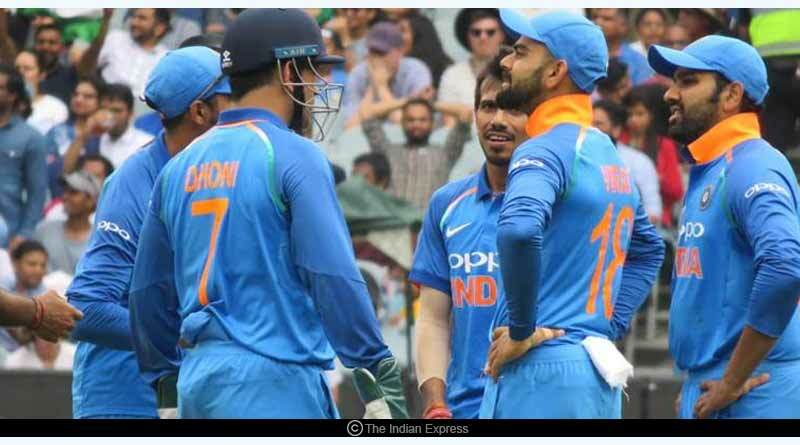 However, India is a team that everyone knows can’t be taken lightly, be it at home or away, with their recent showing in Australia only stamping their authority as one of the most complete and well-rounded outfits in international cricket. From the batting order to the bowling order, India has at its disposal a versatile set of players with a meticulous skill set, capable of making light work of any side. Following on from the ODI series, the two sides will take on each other in the T20 series starting 6th February and the decider on 10th February. The matches will be telecasted on Sony Ten 3, Six/HD with all the five ODI matches beginning at 7:30am IST while the T20 matches will take place at 11:30am IST. We at www.tentaran.com will be bringing you all the score updates, over by over live developments, latest team news and all the coverage from the series on our site and our Twitter feed.